Most schools in rural areas in Moldova don’t have facilities satisfying basic water, sanitation and hygiene (WASH) standards. Schools usually have only cesspit toilets located away from the school building, which frequently are in bad conditions, without cabins or separators for privacy, without electricity or heating in winter, with no hand washing facilities, poorly maintained and rarely cleaned. Jointly with Moldovan authorities, ApaSan promotes options and approaches for improving sanitation in schools. 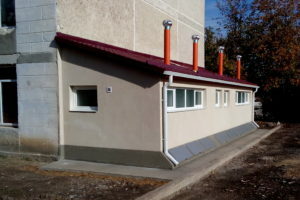 A major achievement of ApaSan is the successful introduction of urine diverting dry toilets (UDDT), also called “ecosan toilets”, as a valid and widely accepted alternative option to school sanitation in Moldova. ApaSan has provided financial and technical support to 68 schools for the construction of ecosan toilets (or flush toilets with wastewater treatment in a few cases) and training of teachers, pupils and caretakers in use and maintenance of the toilets as well as on hygiene practices. 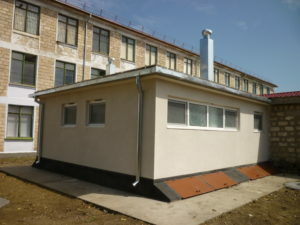 The toilets are usually attached to the main schools building, so students and teachers can use them without having to go outside in the cold. The toilets are built to modern standards, with tiles, heating, lighting, ventilation and hand washing facilities, and have separate areas for girls and boys, each with several closed cabins for privacy. Monitoring shows good acceptance and sustainable use and maintenance of the toilets. ApaSan has also built capacities of design and construction companies and worked with health authorities to solve legal issues for the acceptance of ecosan toilets for school sanitation. Jointly with the Ministry of Education, Culture and Research and the Ministry of Health and Social Protection, ApaSan promotes better sanitation in education facilities. As part of the joint efforts, a guide on options for school sanitation has been published and disseminated. 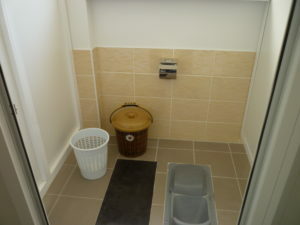 Another guide provides detailed advice on how to implement projects for ecosan school toilets. ApaSan has also worked on improving the regulatory framework for ecosan school toilets, by developing a guideline on use of products from ecosan toilets and by contributing to the establishment of a Code of Practice for ecosan toilets, published by the Ministry of Regional Development and Construction. 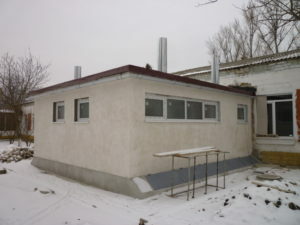 WASH in Schools – Case Moldova (Skat, ApaSan).